If you are looking for a book arguing for a proof of God's existence through science, this isn't it! Giberson does something, that in my opinion, is far more valuable. 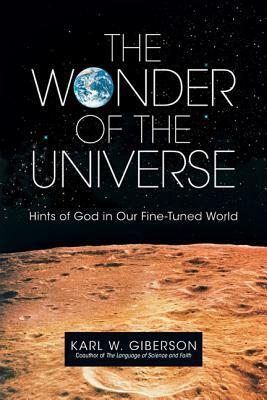 He carefully lays out the scientific evidence that shows how finely tuned the universe is--how even minor differences in various forces would result in either no universe or one where life as we know it would not be possible--and how even a habitable planet like ours, with water and so many other factors favoring the emergence of life--is truly amazing. He is among the Christians who affirm evolution but contends that contrary to the randomness claims of so many, evolution often can be argued to show a sense of direction, almost a purposefulness. For Giberson, while none of this proves God's existence, he sees this as entirely consistent with the idea of a God, and, for him, the best explanation for how such a finely tuned universe and planet could come about. He is highly skeptical of the multiverse idea, which he argues has not been empirically demonstrated or even functioned predicatively of any phenomenon. While this needn't change one's belief in a god, it does seem pretty necessary to explain our finely tuned universe without one. Sign into Goodreads to see if any of your friends have read The Wonder of the Universe.